"I am the terror that flaps in the night!" 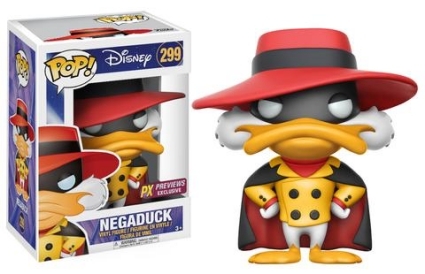 Sorry, Darkwing, but you are no longer confined to the night because Funko Pop Darkwing Duck enters the vinyl realm. 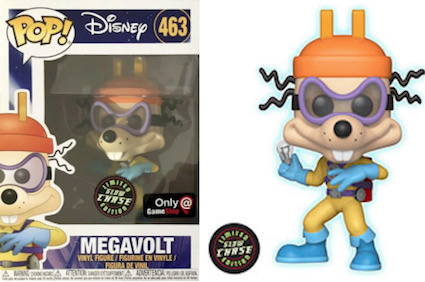 Leading the way with a gray tando hat, the main Darkwing Duck figure is shown wearing a Zorro-style mask and corresponding purple coat over a teal turtleneck. 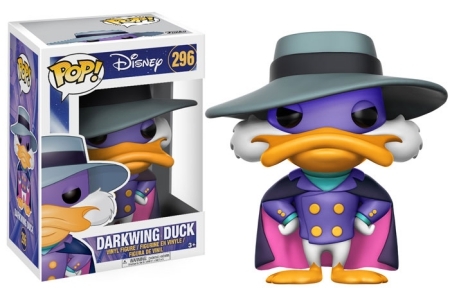 The black cape rests over Darkwing Duck’s shoulders, revealing the pink lining underneath. 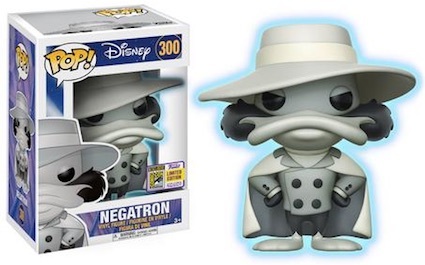 Shop for Darkwing Duck Pop Figures on Amazon. 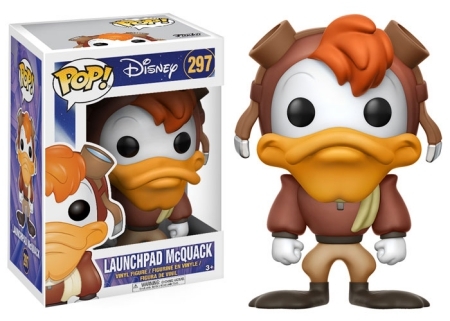 Darkwing’s loyal fan and pilot, Launchpad McQuack is suited up in traditional aviator gear including a helmet and flight goggles. 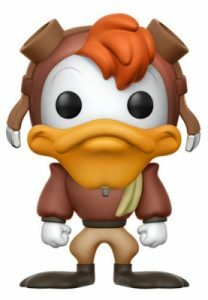 McQuack’s athletic build (at least for a duck) is outlined by his flight jacket and leather boots, while his indented square jaw hides most of the scarf around his neck. 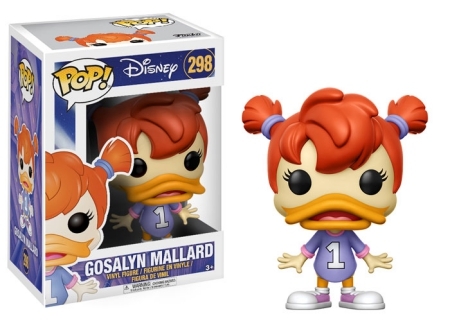 With her red hair in pigtails, Gosalyn Mallard sports an oversized purple jersey with sneakers. Despite the fact that Disney's animated series is a parody of notable superheroes, Darkwing Duck proved to be in a class of its own. 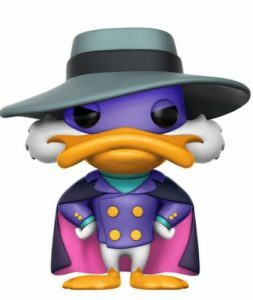 Drake Mallard is an ordinary duck during the day who lives with his adopted daughter, Gosalyn, but when night falls, Drake becomes Darkwing Duck. 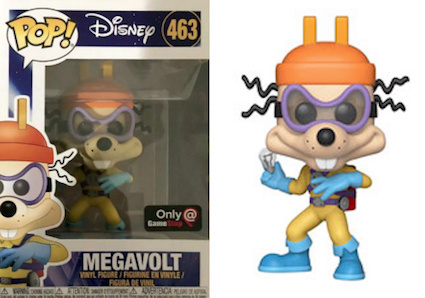 The 2018 GameStop Black Friday Mystery Box adds a base figure and chase variant for Megavolt. How come Negatron is not in the checklist?? ?